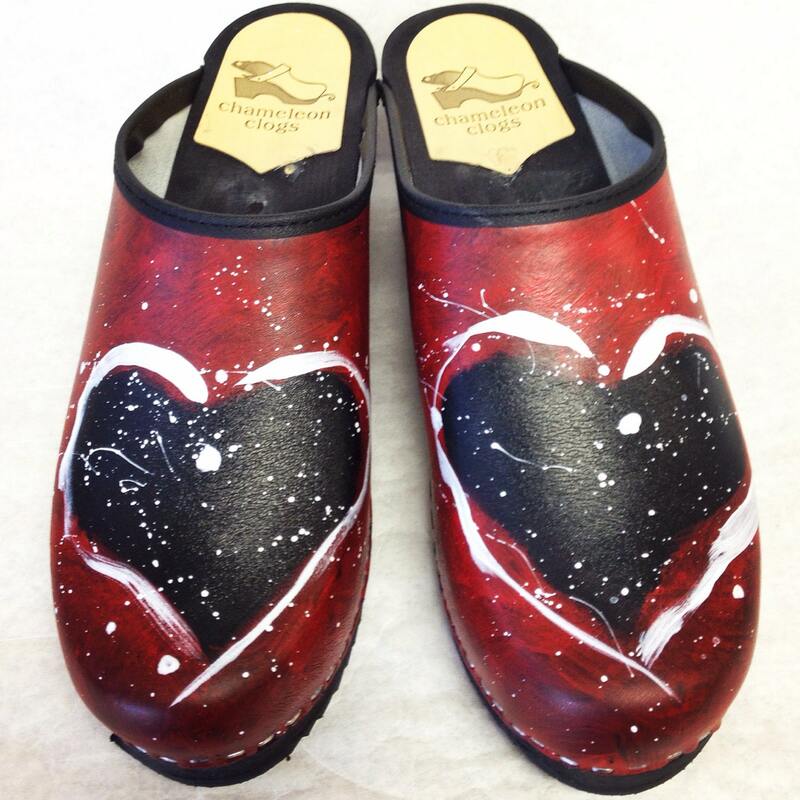 This is my hand painted abstract heart clogs ❤️. Red and white on a black leather classic full clog. 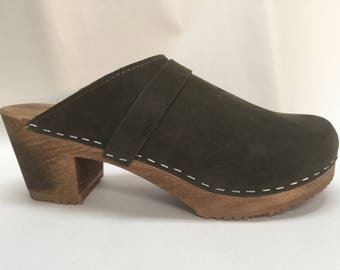 Made up on a Black dyed wood Medium heel 2 1/2"